Have You Ever Attempted to Install Your Own Home Security System? We get that you want to save money. Life is expensive. Life with a family is expensive. Just for a minute, consider the consequences of a home security install disaster. Your family’s safety and security should be your number one priority. There are certain things you can cut corners on, and yes, saving money feels good! Let us be the first to tell you, cheap is not always the best value! Quickly turns into a frustrating project. …and can be an utter and total fiasco and failure! As we don’t want that to happen to you and yours, here are some Do It Yourself Home Security Fails you can learn from! The experts have seen hundreds, maybe thousands of homes and businesses and have installed countless security systems. An expert understands what each location needs and what is unique about that home or business. They check and measure the distance to exits, current lighting, ask about habits, potential users of the system and many more questions. When an expert comes to you for a consult, they take everything into consideration before deciding what equipment you need. You, on the other hand, might be lured by price points, sales at the local hardware store or by what your 80-year-old neighbor installed in his much larger, or smaller, home. Therefore, ask a security expert to help you pick the exact equipment you need to secure your home and keep your family safe! 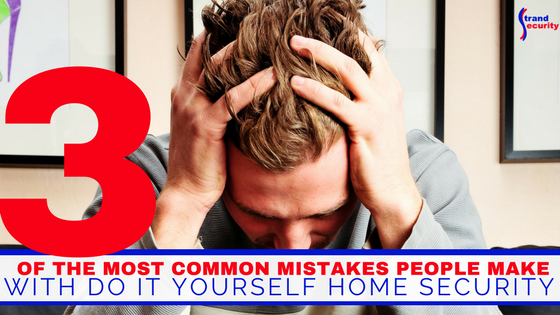 Another mistake frequently people make is that they underestimate the time and knowledge it takes to install a new system correctly. Even if you’ve wired lights before, installing a security system is different. It is only your family’s safety and security that depends on you installing a new system correctly. If you can not answer that question affirmatively, it’s time to outsource this skill to an expert! Do It Yourself Home Security Fail #3: Thinking You Know How To Integrate New and Old Equipment and Pair it With Your Smarthome. There are tons of commercials enticing you to buy add-ons to your current system. There are even more YouTube videos available to watch and learn from. DIY videos are one of the most watched genres of videos on YouTube. Old and New Equipment Don’t Often Integrate Well. Ask an Expert to Make Sure It Can Be Done Safely and Securely. Just because you watched a video, that does not make you an expert. Just because your friend is helping you install some new features, does not make you both security system installers. Just because you think you can, does not mean you can! 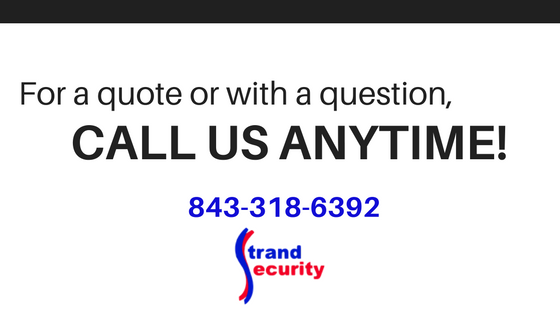 If you tired and failed to be the do-it-yourself home security installer, it is time to call in the expert. Often, experts only work with the best systems and the best brands, something many DIY installers don’t consider. That might make your ‘deal’ on the hardware from the local hardware store, not such a good deal afterall because if you can’t use the equipment and you can’t return it, you will end up paying double, never mind the wasted time you’ll never get back! We hope your home is safe and secure! Let us know if disaster struck and you need us, we are only one phone call away! « Will You Need Expert Help With Home Theater Setup?